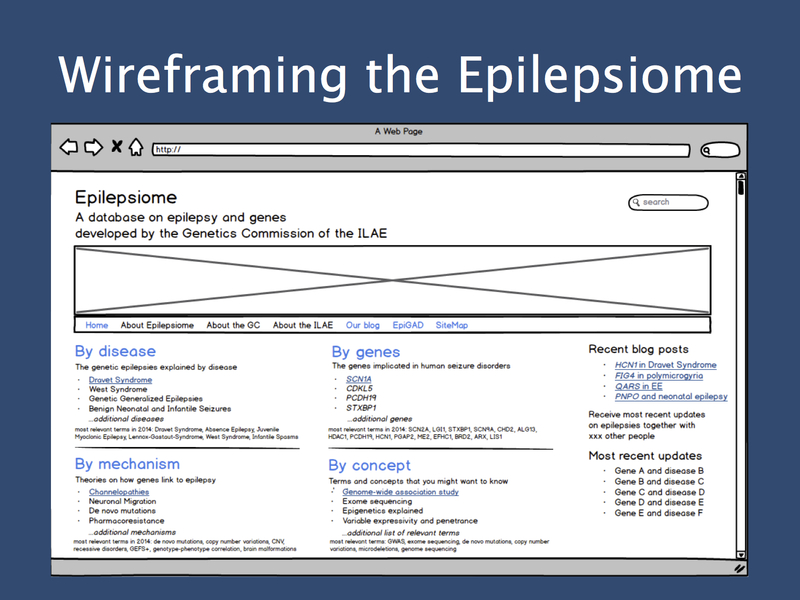 Screenshot of our Epilepsiome wireframe (mock-up website) that we created with Balsamiq. This should give you a rough idea of what you might expect in a year from now. We hope that we can generate stable funding for this database to provide the necessary tool for the ever-increasing complexity of epilepsy genetics.